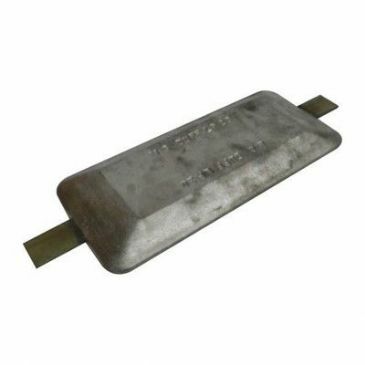 Weld-on Magnesium anode (fresh water) 1.5kg. Popular compact size required for many smaller narrow boats. Weld-on Magnesium anode (fresh water) 2.8kg. The most popular size required for many narrow boats. 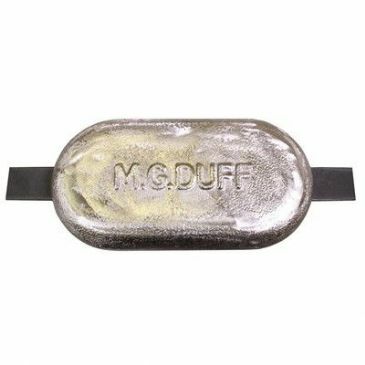 MG Duff bolt-on anode (fresh water). 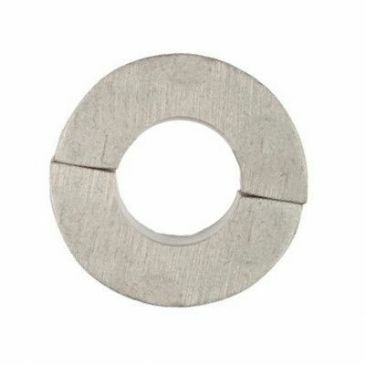 Fixings: Bolt holes, 200mm centres. Quantity Per Pack: 1 (Quantity rates available) Reference/Manufacturer Number: MD78B. MG Duff Weld-on anode (fresh water). Popular choice for narrow boats up to 50'. 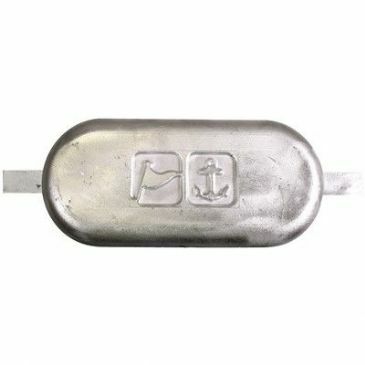 MD20LP 'mid-ship' anode also recommended, see AA-082. 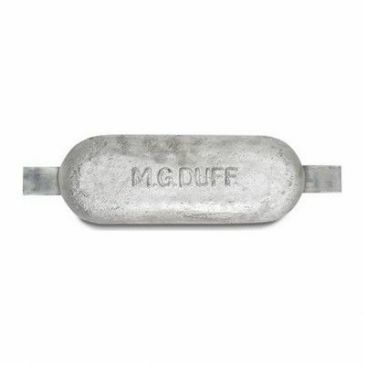 MG Duff Weld-on anode (fresh water) Anode Body. Dimensions mm: (L x W x H): 457 x 102 x 64. Fixings: Weld on steel strip. Quantity Per Pack: 1 (Quantity rates available). Reference/Manufacturer Number: MD72. 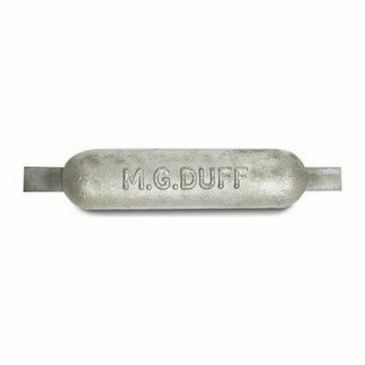 MG Duff Weld-on anode (fresh water) Dimensions (L x W x H): 305 x 76 x 32. Fixings: Weld on steel strip. Quantity Per Pack: (Quantity rates available). 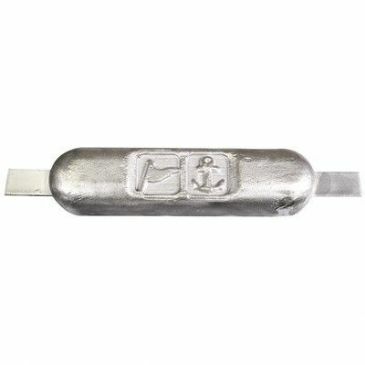 MG Duff Weld-on 'Mid Ship' anode (fresh water) anode, recommended for mounting centrally on steel hulls of 50' + to offer full protection. Cast with chamfered edges to minimise drag. 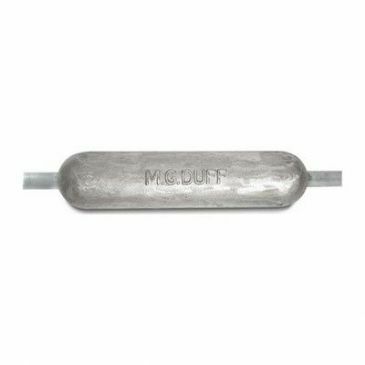 MG Duff shaft anode for installation on propshaft. Weight: 0.15 Kg. Diameter: 78mm (O/D). Thickness: 18mm. Reference/Manufacturer Number: MSA 1½.